The U.S. Coast Guard has issued an alert informing operators of the role that the main propulsion lube oil system was found to have played in the 2015 sinking of U.S. cargo ship El Faro. All 33 crew on board died when the 790-foot El Faro sank close to the eye of Hurricane Joaquin near the Bahamas on October 1, 2015, while en route from Jacksonville, Fla. to Puerto Rico. Loss of propulsion during extremely heavy weather was revealed as a major contributing factor to the vessel’s sinking, according to The Coast Guard Marine Board Report on the incident. 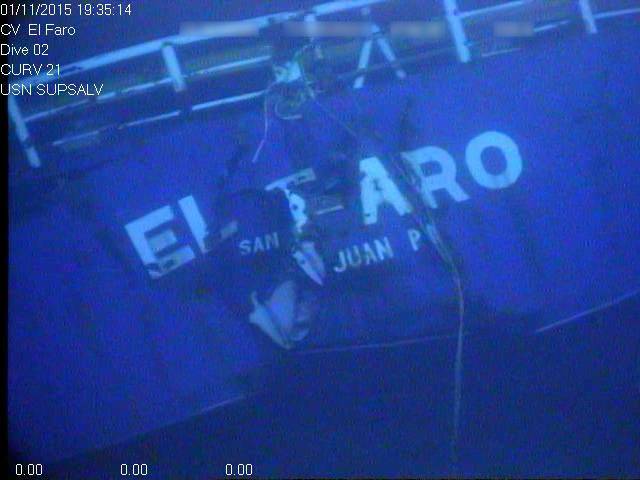 Although the exact operational status of the ship’s vital engineering equipment during the hours preceding the casualty could not be determined, bridge audio recordings indicate that El Faro lost lube oil pressure to the main propulsion turbine and reduction gear bearings, resulting in loss of propulsion. It is believed that the vessel's substantial list, coupled with trim by the bow, caused the main engine lube oil pump to lose suction. 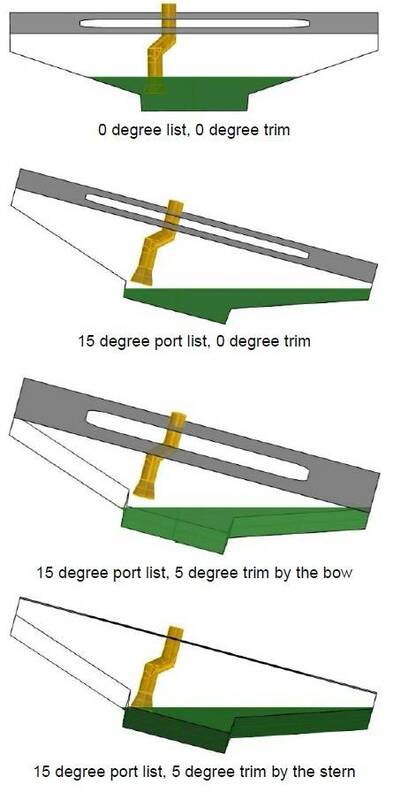 A detailed modeling and static analysis of El Faro's lube oil system determined that a severe inclination of the ship, coupled with a relatively low volume of oil in the sump, would likely result in a loss of pump suction. Figure 1 shows examples (at a constant lube oil volume) of the position of the suction bellmouth relative to the level of lube oil in the sump in several heel and trim conditions. This static model does not attempt to address the sloshing of lube oil in the sump caused by vessel motions. The Coast Guard noted that, although the El Faro's engineering plant configuration was similar in design to most steam turbine ships of a similar age, the vast majority of large oceangoing commercial ships currently operating have marine diesel engines as the primary source of ship propulsion. However, failure of a vessel's lube oil system generally means a loss of propulsion for all types of engineering plants. For a single-turbine ship like El Faro, this type of casualty would result in a total loss of maneuverability until the system can be restored. when the vessel is inclined under dynamic conditions (rolling) at any angle of list up to and including 22.5° degrees and, simultaneously, at any angle of trim (pitching) up to and including 7.5° by the bow or stern. The International Convention for the Safety of Life at Sea (SOLAS), Chapter II-1, Regulation 26.6, essentially has the same requirements as 46 CFR 58.01-40. The Coast Guard said there is no compelling evidence to suggest that U.S. vessels are not in compliance with the above CFR and SOLAS standards. However, given the criticality of propulsion and essential auxiliary machinery, particularly in heavy weather or high-traffic areas, the Coast Guard strongly recommends that operators verify that their main propulsion machinery, essential auxiliary systems and emergency generators are designed in compliance with the CFR, SOLAS and Classification Society requirements for operation in static and dynamic conditions of list and trim. In addition, engineering Department personnel should review the design, arrangement, limiting angles of inclination, normal and limiting high/low lubricating oil sump levels and casualty control procedures for all systems vital to the propulsion and safety of the vessel to better understand the possible ways to mitigate the effects of heavy weather on vessel operations.